The repertoire includes Brönner's "F.F.H. (For Freddie Hubbard)" and renditions of such Hubbard's tunes as "Little Sunflower" (which the late trumpeter recorded for CTI as a sideman on Milt Jackson's masterpiece, "Sunflower") and "Gibraltar" (originally recorded by tenor sax master Stanley Turrentine on "Salt Song," and later revisited by Hubbard himself on some live dates). There's also a hauting take on the gorgeous ballad "Lazy Afternoon," recorded for CTI by Jackie & Roy on "Time & Love", but covered by Hubbard, some years later, for the best album of his Columbia years, "The Love Connection." Iceland's First Lady of Jazz, Anna Mjöll returns to Herb Alpert's Vibrato -- the classiest jazz club in California -- tonight, November 30th, 2012 for a "one night only" show. 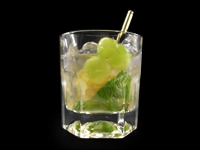 Miss Mjöll will be backed by the amazing Pat Senatore Trio. No cover. Call 310-474-9400 for reservations. 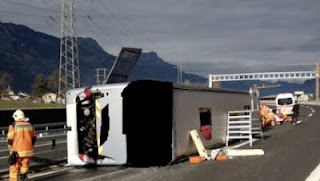 Marcus Miller and his band were involved in a bus accident when their tour bus drove into a bend on the A2 highway in central Switzerland and came to a rest on its side ( Washington Post ). The driver was killed during the accident; the 12 passengers were injured and taken to hospitals, but none had life-threatening injuries. 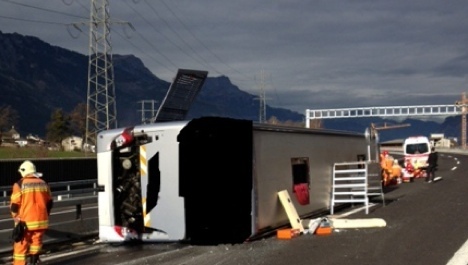 A French website has a photo of the overturned bus ( Ouest France ). The festival promoter Claude Nobs reports in a video interview that all musicians have recovered well and will return to the USA these days ( Basler Zeitung ). From Marcus Miller: "We are all ok. Thank you for your prayers and support. Our condolences to the family of the bus driver." Things continue to improve daily. The band (Alex Han, Adam Agati, Louis Cato, Kris Bowers and Lee Hogans) along with Marcus' bass tech/house engineer and lighting director will be returning to the US later today. 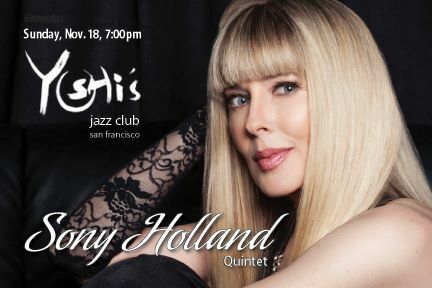 The Sony Holland Quintet will be at Yoshi's San Francisco tonight, with Sony Holland (vocals), Jerry Holland (guitars), Alan Hall (drums), Jonathan Alford (piano) & David Hughes (bass). "Please join us for a special 10th Anniversary ON A SAN FRANCISCO HIGH release concert. We've got a great show lined up!" says the beautiful (pics on this post by Jenn Hoffman) & highly talented Sony, one of our favorite singers in the current California scene. Not to be missed! One of the best unofficial CTI releases to come out recently, Bob James' "These Are The CTI Years" hits the market soon after James' "CTI Years" Asian tour, which included five sold-out nights in Japan last Setember (three at the Tokyo Blue Note, one at the Nagoya Blue Note, and a big concert at the Tokyo Jazz Festival). 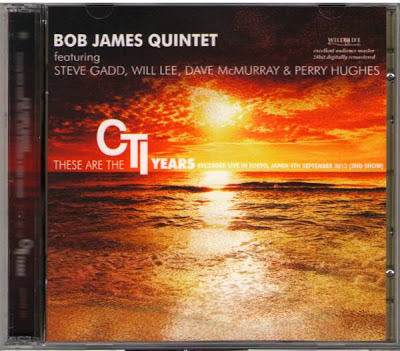 Leading a quintet with Will Lee (who recorded "Westchester Lady" on "Bob James Three," although the tune had been composed for the late Gary King), Steve Gadd (the drummer in most of James' CTI sessions), Dave McMurray and Perry Hughes, James reprised his main hits taped during the CTI heyday. Not only themes from his four solo albums produced by Creed Taylor in the mid-70s ("Feel Like Making Love," "Nautilus" and the aforementioned "Westchester Lady"), as well as tunes from projects he arranged for such CTI stars as Stanley Turrentine ("Don't Mess With Mr. T"), Hubert Laws ("Farandole"), Grover Washington, Jr. ("Mister Magic"), Eric Gale ("White Moth") and Chet Baker ("Autumn Leaves"). In one of the nights, Bob James even performed a CTI classic not associated with him, Freddie Hubbard's "Red Clay," and a hit from James' post-CTI years at Columbia ("Angela"), a song curiously reissued on a CTI 45" a couple of years ago. There are rumors about a forthcoming DVD release. 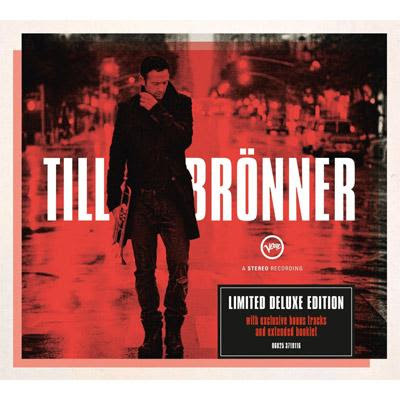 4.DON'T MESS WITH MISTER T.
5.A SIMPLE WAY TO SAY, "I LOVE YOU"
We also hope to see a release by Fred Wesley & The CTI Project, after their successful appearance in Europe this past Summer. 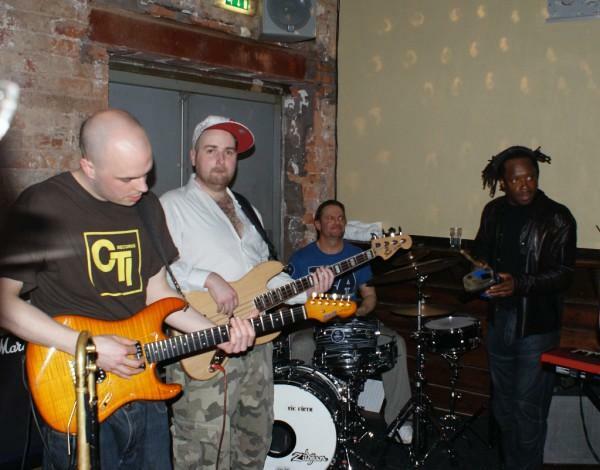 The band members are Taz Modi (keys), Chris “Phatty” Hargreaves (bass), Gareth Parry (gtr), Chris Sykes (drums) and Mark Ellis (saxes). This group, formed to dig out their favourite grooves and play them live, pays a long-overdue mark of respect to one of the most important labels and sounds in music history. 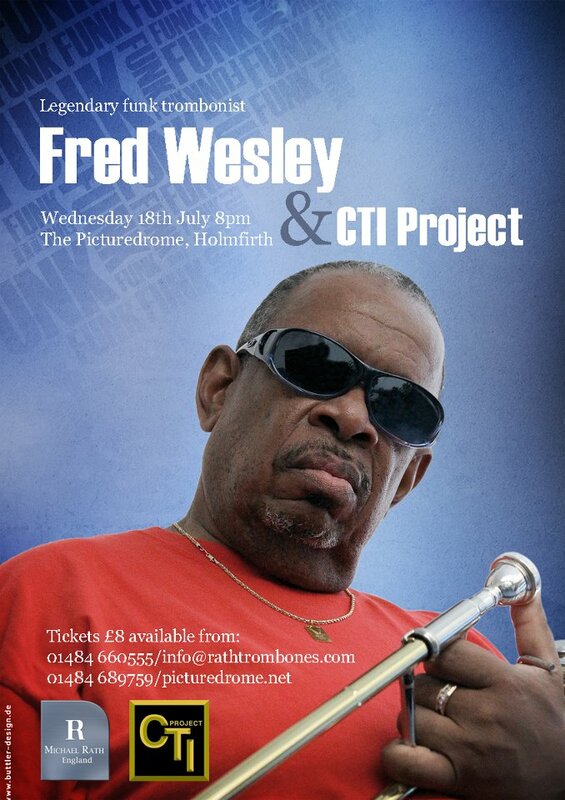 Although Fred Wesley never recorded as a leader for Creed Taylor, he took part in many CTI sessions, most notably on albums arranged by his maestro during the James Brown years, David Matthews. Wesley's solo on "Knock on Wood," from George Benson's "Pacific Fire," can be heard on the best-selling CD compilation "CTI Acid Jazz Grooves," produced by Arnaldo DeSouteiro. Five NEA Jazz Masters Jimmy Heath, saxophone; Barry Harris, piano; Ron Carter, bass; Curtis Fuller, trombone; Jimmy Owens, trumpet, with Tootie Heath, drums, play a concert of classic standards from the Great American Songbook. The concert is dedicated to Phoebe Jacobs, Executive Vice President, Louis Armstrong Educational Foundation, who passed away this year. Members please call (718) 463-7700 ext. 222 to purchase your tickets. $40/$32 Members/$10 Students with I.D. 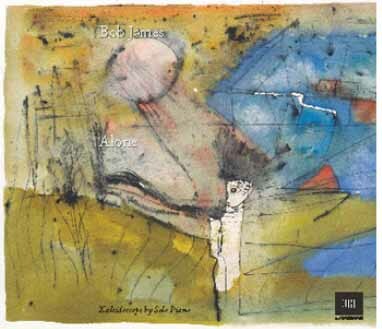 Crystal CD of the Month - "Bob James: Alone - Kaleidoscope"
Produced by Bob James for Tappan Zee and Yasohachi "88" Tooth for Eighty Eight Inc. 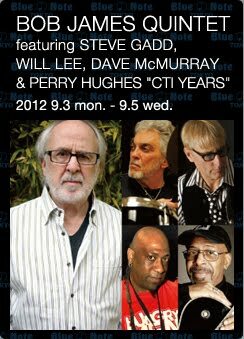 Distributed by Harman International Japan Co. Ltd.
Blu-spec CD of the Month - "Michel Legrand and Friends"
CD Reissue of the Month - "Charles Mingus"
Classical CD of the Month - "New Directions In Classical Music"
Blu-ray of the Month - "Pat Metheny: The Orchestrion Project"
You've never seen anything similar before. 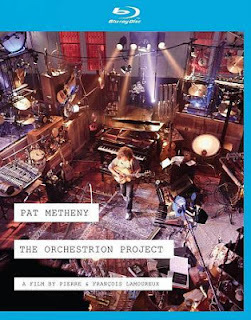 This superb 3-D Blu-ray -- filmed by Grammy and Emmy Award winning directors Pierre & François Lamoureux at the former St Elias Church in Greenpoint, Brooklyn in November 2010 -- features guitar wiz Pat Metheny performing with the Orchestrion, a vast collection of mechanical instruments that surround Pat Metheny in this atmospheric setting. The focus of the performance is the "Orchestrion Suite," a work written specifically for this combination and debuted on Pat Metheny's Orchestrion album released earlier in 2010. Added to this are other tracks from across Metheny's prolific career going right back to "Unity Village," from his debut solo album "Bright Size Life" in 1976 and including other tracks from the seventies, eighties and nineties. This is a unique collaboration between a master guitarist and the pinnacle of mechanical music. DVD of the Month - "João Donato 1975"
Filmed for director Fernando Faro's "MPB Especial" TV show in December 1974, and broadcasted on Brazilian TV in 1975, it's now commercially available for the very first time on DVD format by Marcelo Froes' Discobertas label, who should win an award for this historic release. The interview is a complete mess, though. There are many mistakes about song titles, composers, dates etc. João Donato even omitts essential names in his musical career. Not a single word about people like Luiz Gonzaga (his first and main influence who led him to play accordion), Dolores Duran (the great singer-songwriter from the 50s who played a pivotal role in the development of Brazilian music in the pre-Bossa Nova days and, not coincidentally, was Donato's girlfriend at that time), and Luiz Bonfá (the master guitarist who was the first to record Donato's first hit, "Minha Saudade," with Donato on accordion back in 1955). Not even Milton Banana and Tião Neto -- the members of his historic trio heard on the landmark albums "Muito À Vontade" and "A Bossa Muito Moderna de Donato e Seu Trio", and who also toured a lot with him from the early 60s in Europe to the late 80s at the Alô Alô nightclub in Rio -- are mentioned. Neither his brother Lysias Enio, Donato's best lyricist ever... Donato mentions many jazzmen he admires, but forgets to talk about all the guys with whom he recorded in the USA (Cal Tjader, Tito Puente, Mongo Santamaria, Eddie Palmieri etc) and that were exremely important to his career. The musical performances (mono sound and black & white image), however, are simply astounding, starting with a superb version of the funkified tune "Flor de Maracujá" (co-written by Lysias Enio, btw, and originally recorded by Gal Costa). Donato sings and plays solo acoustic piano (I wish he could have used Fender Rhodes too!) throughout the program -- except for some songs played on his first instrument, the accordion --, and the Brazilian genius was at the height of his powers. Other highlights: a surprising & dreamy rendition of Tommy Dorsey's hit "I'm Getting Sentimental Over You," Antonio Carlos Jobim's "Outra Vez," and many of Donato's own gems like "Que Besteira," "Até Quem Sabe," "A Rã (The Frog)", "Lugar Comum" (previously recorded in 1962 as "Índio Perdido" and then soon to be re-recorded with Gilberto Gil's lyrics) and "Chorou, Chorou" (lyrics by Paulo Cesar Pinheiro and the opening track from the 1973 "Quem É Quem" album). This is an essential item for Donato's fans, and his best DVD ever --alongside his collaboration with the late Bud Shank filmed in 2006, "Ao Vivo No Rio de Janeiro." One of the top DVD releases of 2013, indeed. Vocal CD of the Month - "Alice Francis: St. James Ballroom"
Instrumental CD of the Month - "Russ Nolan: Tell Me"
Forget about the old young lions that made jazz retreat and fall back in time, deleting all the "fusions" & experiments previously set by the innovators of the 60s and 70s. Forget about the new team of arrogant American musicians (praised only by jazz magazines) who live in ego-trips and seem to be in an eternal competition with fellow jazzmen to see who plays/records the most "complicated" music on the planet. And, since Russ Nolan is a sax player, please forget about these ultra-boring pianoless sax/bass/drums trios that perform the perfect soundtrack to be heard in hell. On this new disc, Nolan tells me about a jazz that is pure joy, enthusiasm and rhythmic energy (elements that seem to have dissappeared from the contemporary jazz scene). Yes, "contemporary jazz" because it's played and created today by people like... Nolan! and a few other "crazy" musicians that have the nerve to break the mold and, therefore, are ignored by jazz snobs/purists. 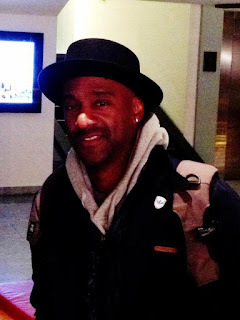 An inspired composer and very creative arranger, who has no prejudice for other musical genres, showcasing his passion for latin-jazz (ie, the Afro-Cuban rhythms he grew up with), Nolan provides strong originals and great jazz renditions of high-quality pop tunes by such stars as Stevie Wonder ("Creepin'", the B-side of the "Another Star" single) and John Lennon ("Nowhere Man," from the Beatles' "Rubber Soul"). "Man in the Mirror," Glen Ballard/Siedah Garrett's hit written for Michael Jackson's Quincy Jones-produced "Bad" album, is another highlight. Nolan's treatment to one of Weather Report's anthems, the haunting Joe Zawinul ballad "A Remark You Made" (from one of their seminal albums during the Jaco Pastorius heyday, "Heavy Weather"), is a daring testament of musical audacity. Jazz purists shall also avoid Nolan's version of Oliver Nelson's signature tune, "Stolen Moments," that can maybe cause a heart attack on those pathetic figures. The members of Nolan's band are top (although not yet famous) players too. Art Hirahara sounds superb throught the album - recorded in a single day, btw, on March 8, 2012, something that helps to explains its contagious sense of spontainety -, specially when the keyboardist uses that delightful Rhodes sound. But all the band deserves recognition for doing a great job. Not only our "instrumental CD of the month," but certainly one of the "best jazz albums of the year" in the forthcoming Jazz Station annual poll. Now, let's join Nolan and the guys -- Art Hirahara, Michael O’Brien, Brian Fishler and special guest violinist/producer Zach Brock -- LIVE, celebrating the CD release of "Tell Me' at The Kitano Hotel, Thursday, December 13th, 2012, with sets at 8 & 10PM. featuring Art Hirahara, Michael O’Brien, Brian Fishler and special guest Zach Brock. Be happy! Russ Nolan’s music is often described as High-Energy Modern Jazz that both satisfies the intellect of its musical peers and speaks to everyone on a soulful level. Called a ‘renaissance man’ by those close to him, he has taken his experiences in sports, martial arts, business, after-school program volunteering, music education, and other activities to relate to a wider audience. Russ is an accomplished and active Salsa dancer in NYC and has used his inspiration on the dance floor to craft this fascinating "Tell Me." In the ten years since his move to New York City from Chicago, tenor saxophonist/composer/arranger Russ Nolan has made great strides in advancing his musical career. He immersed himself in the scene, playing and collaborating with a wide range of musicians. 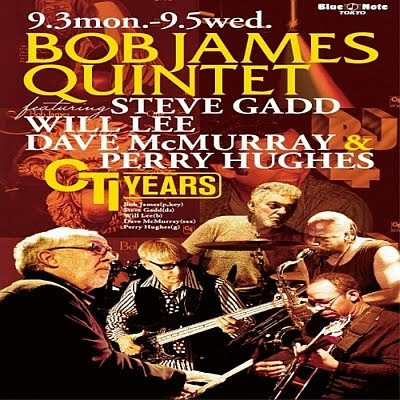 He made his first recordings as a leader-the quartet date "Two Colors" (2004) and the much-praised "With You in Mind" (2008), on which he was backed by the Kenny Werner Trio. And, less typically, he hit the dance floor, becoming an active and accomplished salsa dancer. It was Nolan's experiences as a dancer over the last five years that led to the conception and execution of "Tell Me," released through his own Rhinoceruss Music. "On the dance floor, you key off of a rhythm," he says. "Getting it into my body helped my sense of time. I became a lot freer with rhythm." 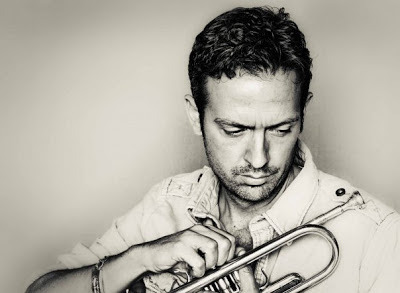 Latin rhythms assert themselves in unexpected places and in unexpected ways on the new album, produced by and featuring violin sensation Zach Brock. "Russ and I began our musical relationship over ten years ago in Chicago," says Brock. "I feel privileged to have worked on both the production and performance aspects of this recording. 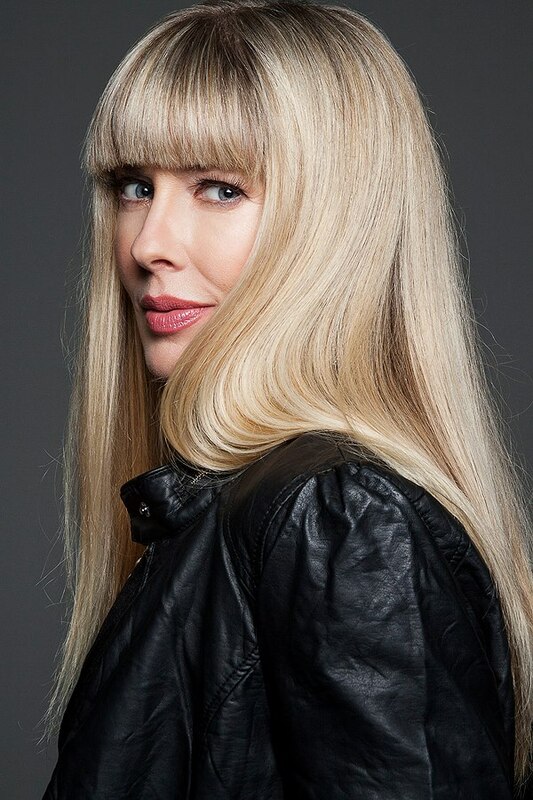 The band is top-notch, the music is both challenging and accessible, and the bandleader is a truly inspiring soloist, writer, and arranger." Nolan is a powerful tenor player who strikes a soulful balance between a classic, hard-edged sound and the airier tones and textures popularized by Michael Brecker. As an arranger he applies his distinctive touch to an array of material including Joe Zawinul's "A Remark You Made," John Lennon's "Nowhere Man," and, most strikingly, Oliver Nelson's jazz standard "Stolen Moments," treated as an Afro-Cuban 6/8 undercurrent. "The singer I wrote it for didn't like 6/8, so I kept it for myself," Nolan says of the dynamic chart. For the new disc, Nolan put together a strong quartet comprised of Art Hirahara, the San Francisco native whose second album, Noble Path, was released last year on Posi-Tone; bassist Michael O'Brien, who plays with Brazilian guitarist Sandro Alberti; and drummer Brian Fishler. (producer/violinist Zach Brock appears on three tracks.) "We're a band," Nolan says. "We've spent a lot of time together. These guys may not be well known yet, but they can really play." Russ Nolan, 44, was born and raised in Gurnee, Illinois (halfway between Chicago and Milwaukee), where he was a star basketball and baseball player and also played in the school marching and jazz bands. After a few semesters at Northern Illinois University, Nolan ended up in the vaunted jazz program at North Texas State (now known as the University of North Texas). He became friends there with fellow saxophonist Jeff Coffin, with whom he played in a three-tenor band also featuring Larry Panella. Back in Chicago, however, he played very little music from 1994 until the end of the decade. Then he was contracted to play in the orchestra that backed singer Kurt Elling at Mayor Richard M. Daley's big millennium bash. That was where he first met Brock, with whom he subsequently played in a quintet of musicians associated with the Bloom School of Jazz. Yet the Windy City was never the right fit for Nolan. The more he studied and played with visiting New Yorkers including Chris Potter, Kenny Werner, and Dave Liebman -- and the more they encouraged him to move to the Big Apple -- the more he knew he had to go East if he was going to make anything of his career. He made the move six months after 9/11, settling in Sunnyside, Queens. It wasn't easy getting gigs, but being in the jazz capital of the world rejuvenated him. (He also met his wife, Luz, while pursuing his salsa dance muse.) "Playing here is everything I could have hoped for," he says. "There's such a strong sense of community that phrases like 'Hey, let's try this' and 'I think this would work better here' help create the dynamic and progressive music this city is known for."